Travel back in time to ponder the life-and-death processes that formed our fossil fuel reserves. Plants and animals yielded energy stores that we are now tapping in an explosive instant. Doug Hansmann, BS in Conservation Biology and PhD in Environmental Chemistry, has taught biology at UW-Platteville and is researching a book on Citizen Science. 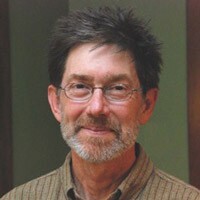 He blogs at digginginthedriftless.com and can be followed on twitter @DougHansmann.